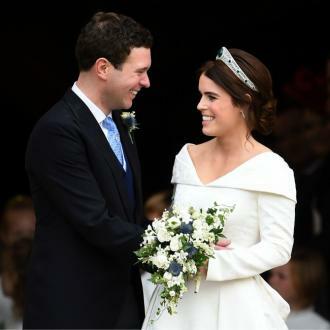 Princess Eugenie and Jack Brooksbank's wedding included an excerpt of 'The Great Gatsby' - because the main character reminds Eugenie of Jack. The 28-year-old royal's older sister Princess Beatrice - who suffers from dyslexia, which makes it difficult to read - gave a touching reading of one passage from the popular F. Scott Fitzgerald novel during the couple's wedding ceremony at St George's Chapel inside Windsor Castle on Friday (12.10.18). And after Beatrice's reading, the Dean of Windsor - who officiated the couple's wedding - detailed the moving reason behind Eugenie's decision to include the passage, which described the book's main character Jay Gatsby. He said: ''One particular passage, in which Jay Gatsby is described, reminded her immediately of Jack. She decided that eventually, she wanted to let Jack know how much those words had brought him to mind, and that's why they've had a special place as our second reading in today's wedding service. The Dean went on to relate the passage to the couple's wedding, as they ''offer each other eternal reassurance''. The passage read by 30-year-old Beatrice - who also served as Eugenie's maid of honour - came as the second reading in the ceremony, after Jack's cousin Charles Brooksbank gave a powerful reading taken from St Paul's letter to the Colossians.